Blowout Sale! 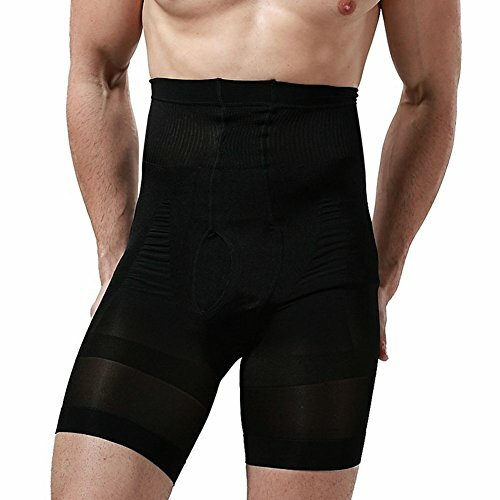 Save 69% on the Showbellia Men's Slimming Shorts Waist Training Compression Shaper Pants Black One size by Showbellia at Ultra Fitness Tech. MPN: bkpants-001. Hurry! Limited time offer. Offer valid only while supplies last. Material:90% Nylon, 10% Spandex. Feature: Breathable, Quickly dry, ElasticTechnics: 3D Slim Cutting Style : Look firmer, younger & well toned. Style : Look firmer, younger & well toned. Slims, supports & reshapes instantly. They feel like a second skin because of their smoothness. Compression shrinkage controlled . Professionally design .High quality construction and high elasticity for maximum support and freedom of movement. High wasit and high elastic fabric offer firm and strong shaping control for your waist, hip, thign, leg and hip. Well-chosen airy fabric with comfortable skin feel.The bound feel for abdomen you can feel while wearing. Thicken design for crotch to fit the male physiological feature.Soft skin feel, comfortable to wear.Tummy Belly Control Slimmer Underwear. If you have any questions about this product by Showbellia, contact us by completing and submitting the form below. If you are looking for a specif part number, please include it with your message.